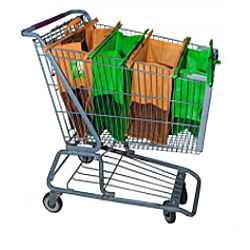 View cart “Magic Bags Reusable Grocery Bags” has been added to your cart. 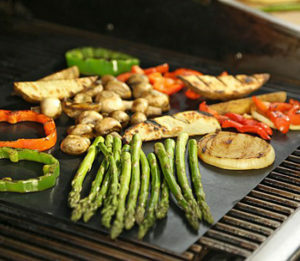 Transform any outdoor grill into a versatile, non-stick cooking surface. Now you can grill a wide variety of foods with these flame retardant mats without them becoming charred or falling through the grate! Cook MESS FREE with this GoWISE USA Non-Stick Reusable Durable Baking and Grilling Mat. The non-stick surface is PTFE Coated fiberglass fabric, which is both FDA & SGS approved. Each side is reusable. You can use the mat in a microwave, oven, or put it in your freezer. It is also very easy to clean and dishwasher safe, and is made with a non-stick surface that eliminates both fats and the hassle of cleaning your grill. The mat can withstand a wide temperature range from -95 degrees Fahrenheit to 500 degrees Fahrenheit. – Stop food from falling through the cracks! Great for vegetables, bacon, fish, kabobs and more! – Makes grilling ANYTHING easy and ends messy grill clean-up entirely! – Grill meat, vegetables, fish, shrimp, pizza, even pancakes, bacon and eggs!! 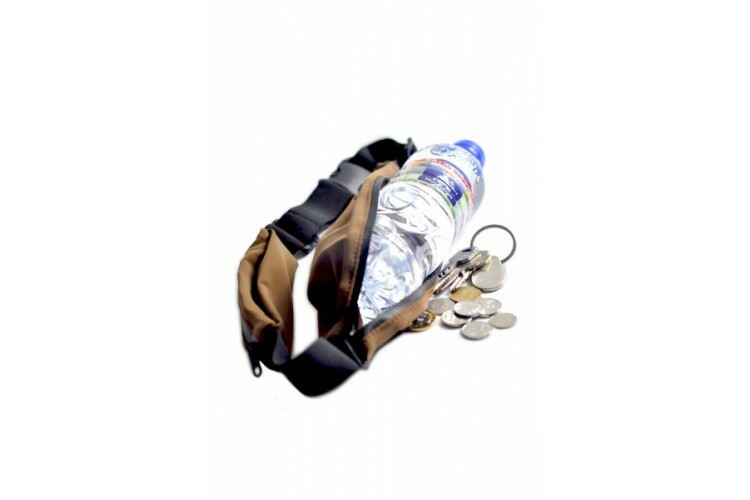 – Perfect for those nasty campground or park grills! SIMPLIFY YOUR KITCHEN CLEANUP TASKS – Our 60″ long BBQ grill mat is guaranteed to fit even the largest grill and can be cut to any size or shape to create a pan liner, baking sheet, cooking sheet, drip catcher, microwave liner, nonstick cooking mat, baking mat, dehydrator sheet and any other nonstick surface you can imagine – the world’s most innovative nonstick cookware. PERFECT FOR CAMPING – a lot easier to pack and carry than a nonstick pan. The PTFE material is light weight, rolls up, and provides a very large cooking surface. Once you start using a BBQ grill mat you’ll come up with all kinds of BBQ ideas you never would have considered before. 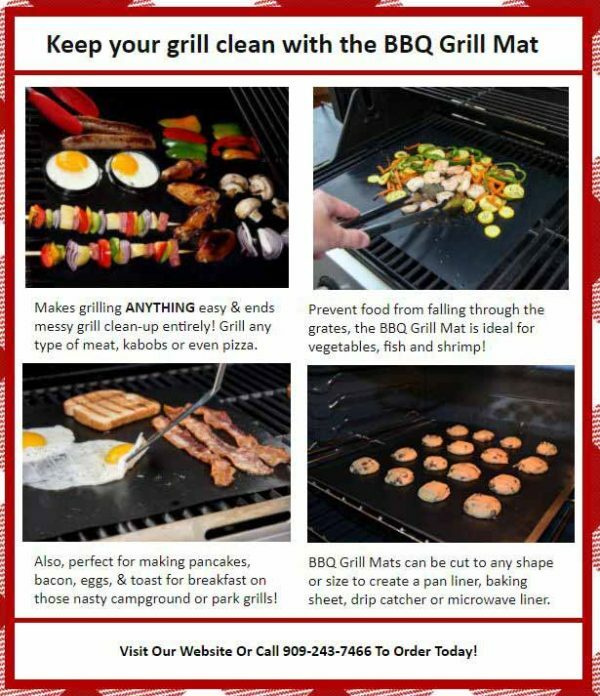 A BBQ GRILL MAT WILL PROTECT YOUR GRILL, stop food from falling through the grates, and eliminate that nasty job of cleaning the barbecue – just toss the BBQ grill mats in the dishwasher and they come out ready for the next use! You can grill anything on these BBQ grill mats: eggs, pancakes, fish, hash browns, bacon, veggies, you name it. What used to be impossible can now be done with ease! A barbecue grill mat improves your grilling results with more moist, better tasting food – the best barbecue grill accessory ever invented.